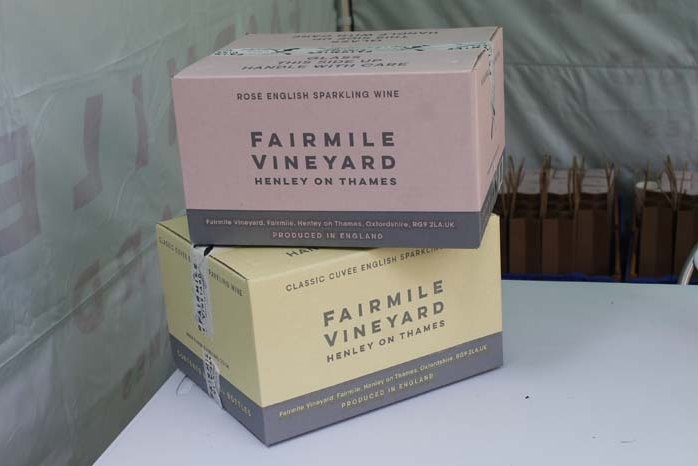 The corks have finally been popped on the first bottles of Henley’s Fairmile Vineyard sparkling wine from grapes which were harvested 3 years ago in 2015. 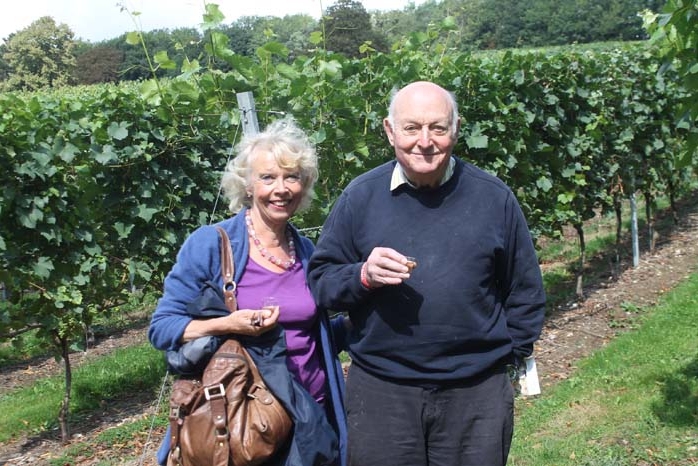 Visitors to the first tasting event over the Bank Holiday weekend got the opportunity to walk around the beautiful seven and half acre vineyard where 12,000 vines were planted in 2013 and to taste the Classic Cuvée and Rosé sparking wines. The Fairmile Vineyard wine making process starts with hand-picking the best grapes to harvest each year. 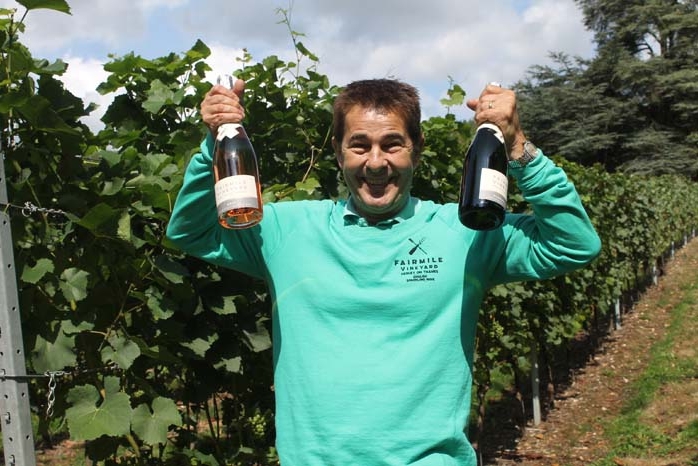 Award-winning wine-maker Felix Gabillet of Hambledon Winery, in Hampshire gently press the three varieties, then ferment the resulting “musts” under temperature-controlled conditions to preserve the delicate fragrances. The wine is then matured in oak barrels which adds silky overtones of vanilla, cream and caramel, whilst permitting just enough evaporation to soften and concentrate the flavours without oxidising the wines. The following Spring, the still wines are blended together by Hervé Jestin, at Hambledon – a skill that gives the finished wines their distinct colour and signature. The wine is then poured into strong glass bottles where the addition of a second yeast and a dosage of sugar slowly creates millions of small, dense bubbles that confer sparkle and zest. Finally, the dead yeast is ejected from the upside-down bottle necks, and the familiar mushroom-shaped cork secured with a wire cage. We enjoyed our first taste – the Rosé has a lovely light fruity taste and the Classic Cuvée has a biscuity aroma and a dry, light, refreshing taste with both types having just the right balance of bubbles. 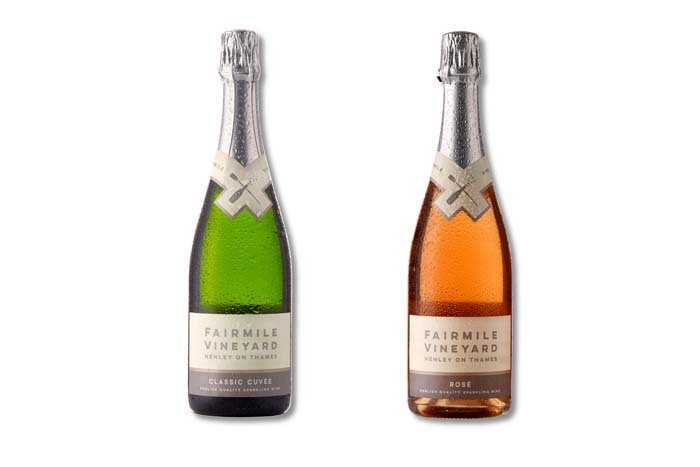 The sparkling wines will be available to buy via their website www.fairmilevineyard.co.uk in due course and Jan is talking to local retailers, restaurants and hotels about stocking the wines. The Classic Cuvée costs £30 per bottle and the Rosé £35.00 a bottle. 10% discount per case of 6.